Remember being warned about avoiding yellow snow? 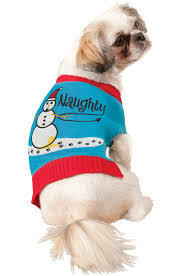 This Naughty Snowman Pet Sweater reminds us why that was an important warning! This dog just made some yellow snow. We know, that's just what dogs do.